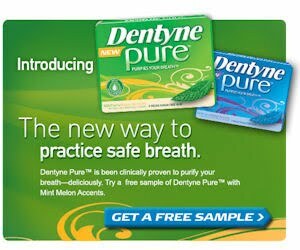 Thrifty and Frugal Living: Free Sample of Dentyne Pure on Facebook! Free Sample of Dentyne Pure on Facebook! Go here and like Dentyne, then you will have to sign up for an account with Dentyne for your free sample. You will have to put your address in both lines since their form is messing up. I just put my Apartment number on line 2. Enjoy!